Need replacement parts, but you’re not certain what size Lightning you have? Here’s how to figure it out. 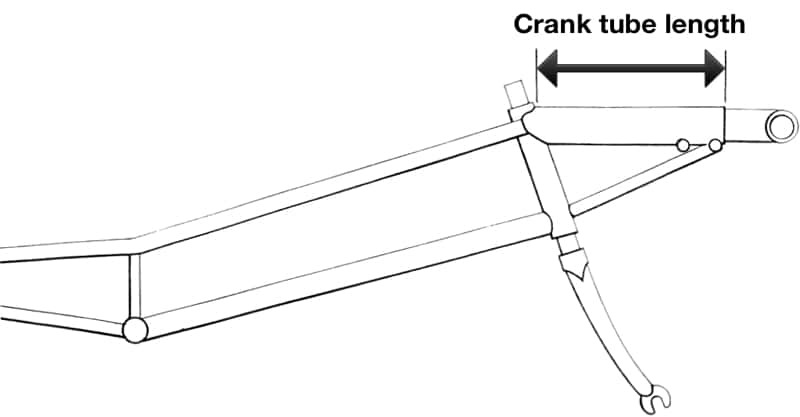 Measure from the middle of the clamp (A) at the top to the bottom of the steerer tube (B). 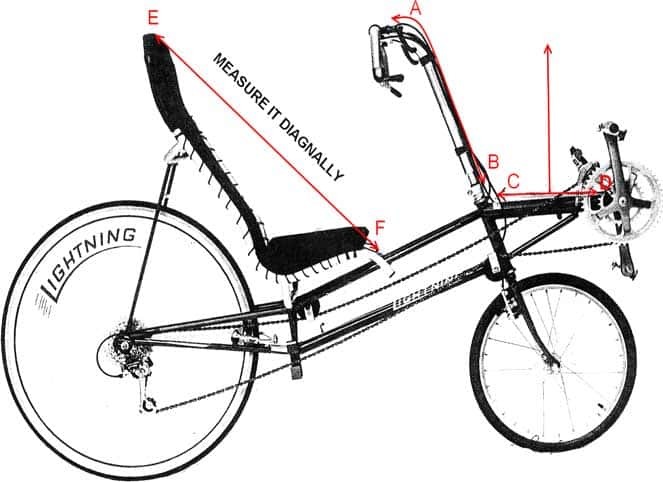 Measure from the headtube (C) to the end of the foretube where the boom is inserted (D). Measure from the top of the seat (E) to the bottom of the seat’s cross bar (F).